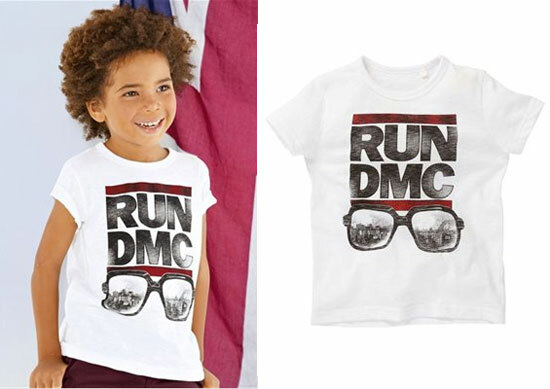 If you want your kids to go old school, this Run DMC t-shirt for kids at Next is the perfect accessory. Well, apart from the mini-sized Superstar trainers obviously. But let’s focus on the t-shirt, which uses a classic band logo and of course, the glasses, on a white shirt, with the logo treated for a vintage look. It’s available for sizes three months through to six years, with prices at £9 to £10, depending on size.